There is an exciting range of career pathways at Maurice Zeffert Home (Inc). Some of our many roles include: Care Workers, Enrolled, Clinical and Registered Nurses, Social Workers, Physiotherapy, Occupational Therapy, Therapy Assistants, and Hotel Service roles. Further to this, Maurice Zeffert Home has a support services division which employs Laundry and Catering staff, as well as a corporate department employing staff in a range of administrative and managerial positions. Maurice Zeffert Home welcomes job enquiries and encourages new applications. Our application process has now been made easier by offering interested parties the opportunity to apply for positions online. Please click here to access a Job Application Form. To speak to a member of our Recruitment Team, please call (08) 9375 4600. 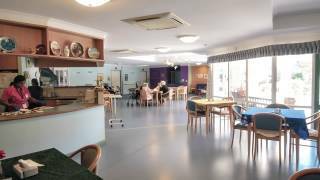 Maurice Zeffert Home provides staff with excellent conditions and support services. We work with Universities and, Institutes of Technology, to assist in clinical teaching and placements for students of allied health disciplines, registered and enrolled nursing, care workers, therapy assistants and many others. If you would like some more information on Student Placements, please contact the line manager of the position you are interested in on (08) 9375 4600.